— Viral image on Sunday, October 25th, 2015 in a blog post and subsequently reposted on Facebook. 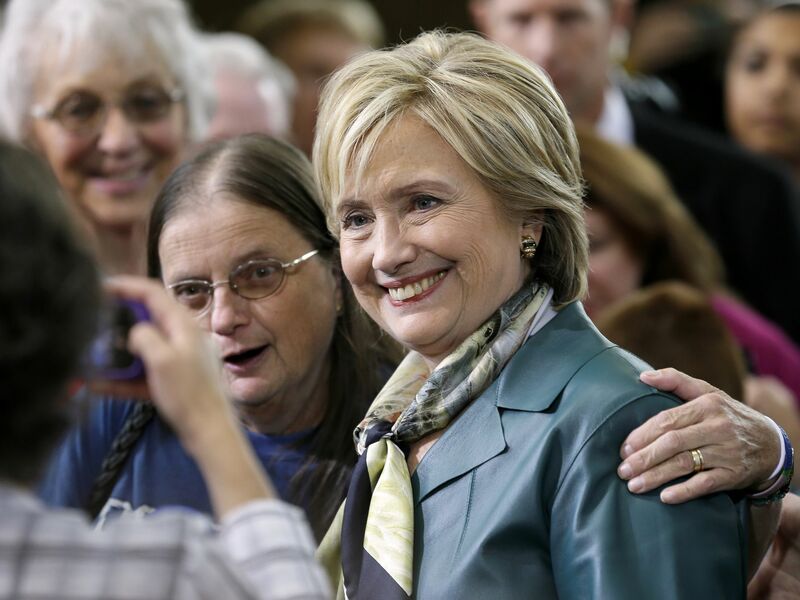 By Jason Noble on Monday, March 14th, 2016 at 3:13 p.m.
Democratic presidential candidate Hillary Clinton explicitly stated her plans to "shut down" the National Rifle Association and expressed hope at banning handguns in an interview with The Des Moines Register last summer. At least, that’s according to a viral image that first cropped up on an anti-Clinton Tumblr blog and has been shared widely on Facebook. "I will get the NRA shut down for good if I become president. If we can ban handguns, we will do it," the post quotes Clinton as telling the Register on Aug. 8, 2015. A post spread via social media quotes Clinton as telling The Des Moines Register, "I will get the NRA shut down for good if I become president. If we can ban handguns, we will do it." Clinton was quoted in The Des Moines Register several times about gun control in the months leading up to the Iowa caucuses, but she did not say what the post accuses her of saying. Clinton has not advocated for shutting down the NRA or banning handguns outright. The claim is entirely fabricated. We rate this statement Pants on Fire! Published: Monday, March 14th, 2016 at 3:13 p.m.